Box-office giant Ticketmaster may have benefitted from looking the other way on ticket scalping-related violations of its own terms of service, a Canadian report revealed on Sep. 19. 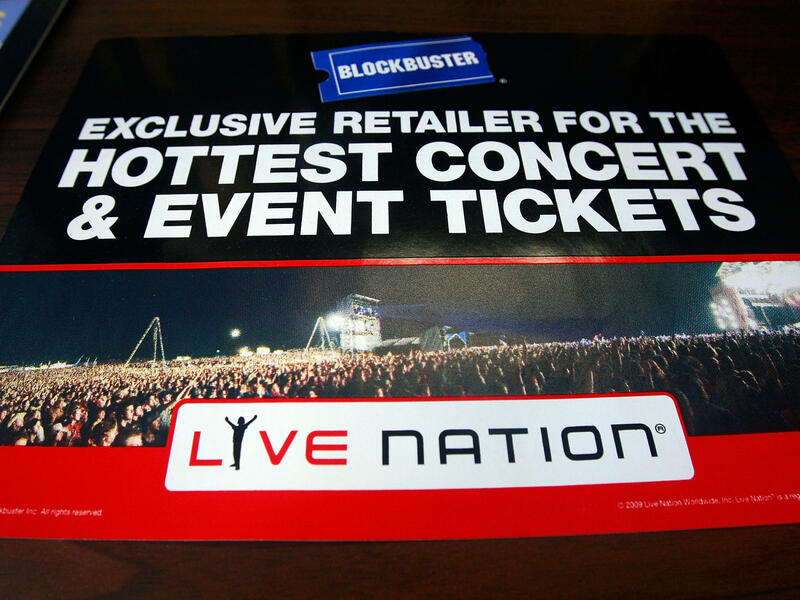 A 2009 Blockbuster sign advertising Live Nation's ticket sales, publicized shortly before the latter company's merger with Ticketmaster. Updated 11:35 a.m. Sep. 20 with portions of a statement from Ticketmaster in response to the CBC and Toronto Star's reporting. A team of Canadian journalists — from the Canadian Broadcasting Corporation (CBC), a public radio and television broadcaster, and the Toronto Star newspaper — reported on Wednesday that Ticketmaster, the live-event box office behemoth, has developed a secret tool called TradeDesk that assists professional "scalpers" to resell tickets in ways that would seem to violate Ticketmaster's own rules — and from which Ticketmaster would ostensibly benefit. Two of the journalists went undercover with hidden cameras and posed as professional resellers to attend Ticket Summit 2018, a trade convention held in July at Caesars Palace in Las Vegas. A CBC journalist also obtained access to an online video conference demonstration of the TradeDesk platform back in March. During the March video presentation, the CBC reports, a Ticketmaster employee said that 100 resellers across North America were using TradeDesk to each sell somewhere between a few thousand and several million tickets per year — "I think our biggest broker right now has probably grabbed around five million," the representative is reported to have said. The CBC has also made public a document which it says is Ticketmaster's handbook for resellers. The handbook outlines a reward system for resellers. For example, the CBC writes, "As scalpers hit milestones such as $500,000 or $1 million in annual sales, Ticketmaster will knock a percentage point off its fees." Ticketmaster is owned by Live Nation — the California-based company did not respond to NPR's email for comment on the report. The company declined to respond on the record to specific questions from the two Canadian media outlets, but offered a statement that reads, in part: "Ticketmaster is a technology platform that helps artists and teams connect with their fans. We do not own the tickets sold on our platform nor do we have any control over ticket pricing — either in the initial sale or the resale ... As the world's leading ticketing platform, representing thousands of teams, artists and venues, we believe it is our job to offer a marketplace that provides a safe and fair place for fans to shop, buy and sell tickets in both the primary and secondary markets." In a follow-up statement provided to NPR the morning of Sep. 20, Ticketmaster denies having a program that allows customers to buy large tranches of tickets, which was not at issue in the CBC/Star report. The company continues by saying it does "not condone the statements made by the employee as the conduct described clearly violates our terms of service," and that it will put "additional measures in place to proactively monitor for this type of inappropriate activity." 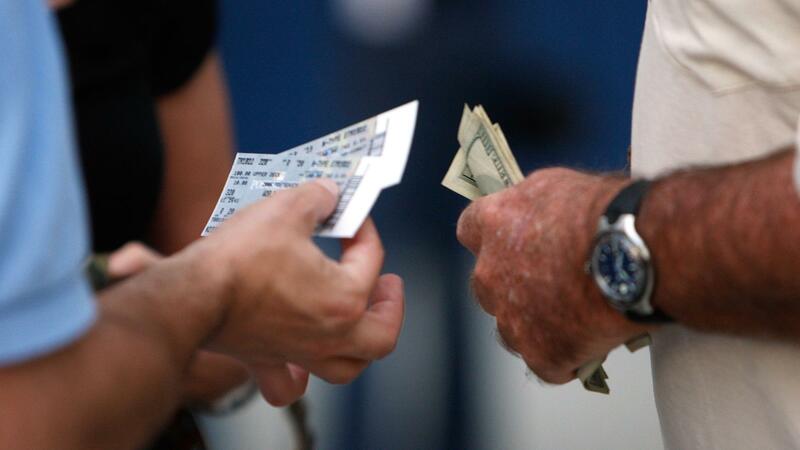 Over the past decade, Live Nation has markedly changed course in its position on ticket resales. In 2009 — the year before Live Nation merged with Ticketmaster — Live Nation's then-CEO, Irving Azoff, told the Senate judiciary antitrust subcommittee that he believed "scalping and resale should be illegal." But in the first part of the CBC/Toronto Star investigation, published Tuesday, the journalists asserted that resold tickets are "particularly lucrative" for Ticketmaster, because the company reportedly profits from two separate sets of charges collected from the same ticket. "For example," they write, "if Ticketmaster collects $25.75 on a $209.50 ticket on the initial sale, when the owner posts it for resale for $400 on the site, the company stands to collect an additional $76 on the same ticket." The Canadian report compounds some pressure on both Live Nation and Ticketmaster. According to reporting earlier this year from The New York Times, the Justice Department is in the process of reviewing complaints that the concert giant "has used its control over concert tours to pressure venues into contracting with its subsidiary, Ticketmaster." In a blog post responding to the Times' allegations, Ticketmaster president Jared Smith wrote that the company's success "is not the result of any unfair advantages resulting from being a part of Live Nation Entertainment," but a result of its parent company's investments into its products, alluding to the complaints as having been filed by AEG, its chief competition. 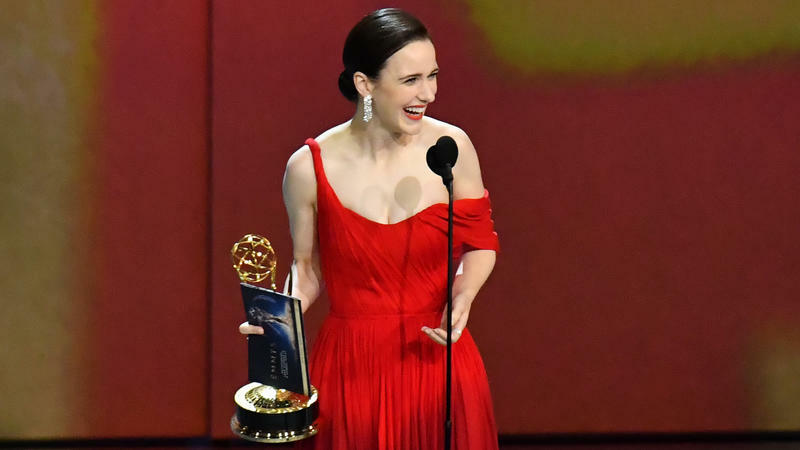 "I would much rather talk about the things we are doing to ensure that consumers get fair access to tickets," Smith continued, "but I guess none of that sells newspapers." 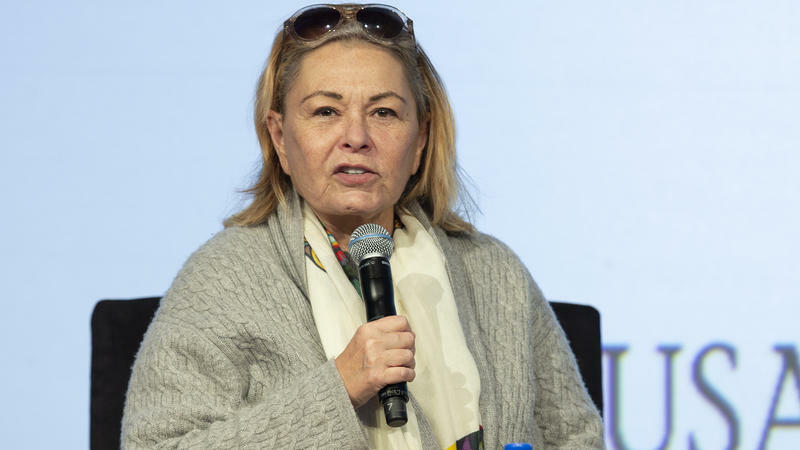 Actress Roseanne Barr says she was "Ambien tweeting" at 2 in the morning when she posted a racist tweet about Valerie Jarrett, a former senior adviser in the Obama White House, that caused ABC to cancel her TV show. No doubt, this was something famed illusionist David Copperfield hoped would go away. However, unlike one of his magic acts, he couldn't just make it disappear with the wave of a hand. 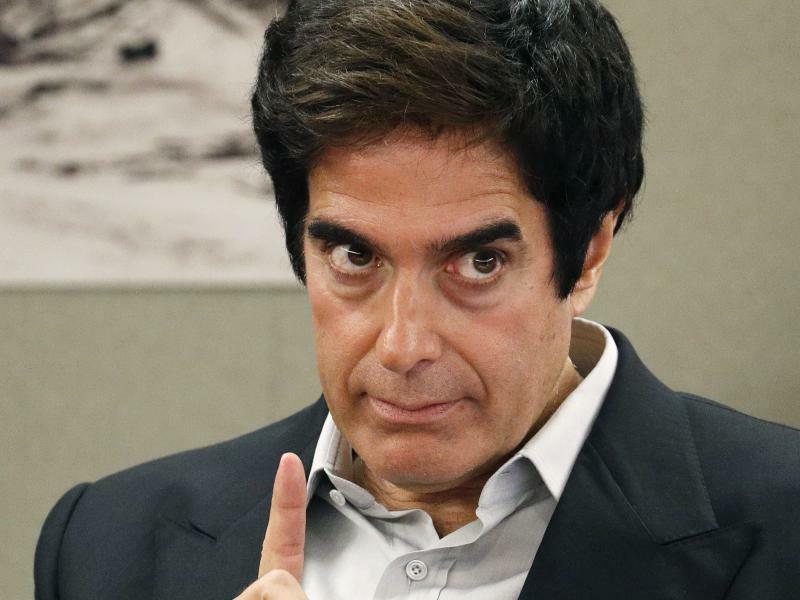 On Tuesday, a jury in Las Vegas found Copperfield negligent but not financially responsible for an injury suffered by British tourist Gavin Cox, who says he slipped and fell while acting as a "volunteer from the audience" during an illusion in Las Vegas in 2013.